The "whistleblower protection" provision of the False Claims Act protects whistleblowers from retribution by their employer. Do you have a case? Contact us for a free consultation with one of our experienced whistleblower attorneys. The False Claims Act (FCA) – also called the Qui Tam statute – is a federal law that was first established by Congress in 1863 to allow everyday citizens the opportunity to file a lawsuit on behalf of the United States when they believe an individual or company is defrauding the government. Those who choose to come forward and report the wrongdoing through an FCA lawsuit, better known as “whistleblowers,” are entitled to between 15 and 30 percent of the amount recovered by the government due to the “qui tam” provision of the FCA. Although originally coined the “Lincoln Law” due to its beginnings in the Civil War Era, the FCA works to not only protect those who “blow the whistle” on the misconduct, but also ensures that they are compensated for their time and effort. A whistleblower, sometimes referred to as a “relator,” is the person bringing attention to the fraudulent activity of an individual or business by ways of a False Claims Act lawsuit. A whistleblower eligible to make a claim under the False Claims Act must have proof or information regarding the violation(s) of the federal securities laws. Qualified individuals that wish to act as whistleblowers do not have to be employed by the company in question, but may not be a company or organization themselves. Allegations of the wrongdoing may be made internally to others within the accused organization or externally to federal regulators and law enforcement. What are the “qui tam” provisions under the False Claims Act? The qui tam provision is what allows the government to share the lawsuit’s earnings with the private citizen that brought the False Claims Act lawsuit to court in the first place. Therefore, qui tam works as an incentive for whistleblowers to come forward and report the fraud. What are some types of fraud covered by the False Claims Act? Patient referrals by doctors or their immediate family members to health care providers when the doctor or family member has a financial relationship with the health care provider. Can my employer retaliate against me for becoming a whistleblower? One of the many benefits of the False Claims Act is that it prevents employers from retaliating against the whistleblower(s) involved in the lawsuit. Retaliation against an employed whistleblower includes the following: blacklisting, denial of benefits, intimidation, firing/laying off, reducing pay or hours, or denial of overtime or promotion. 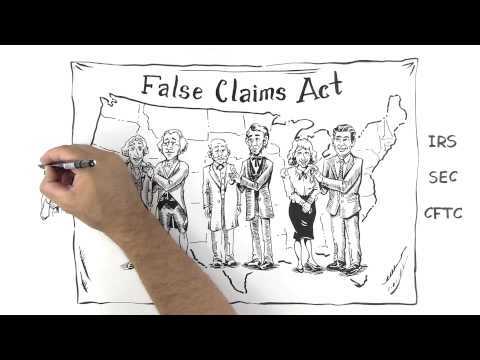 Which states have their own False Claims Acts? Alphabetically: California, Colorado, Connecticut, Delaware, District of Columbia, Florida, Georgia, Hawaii, Illinois, Indiana, Iowa, Louisiana, Louisiana, Maryland, Massachusetts, Michigan, Minnesota, Montana, Nevada, New Hampshire, New Jersey, New Mexico, New York, North Carolina, Oklahoma, Rhode Island, Tennessee, Texas, Virginia, Washington and Wisconsin. Within the United States, there are seven municipalities with their own FCAs as well: New York City, Philadelphia, Chicago, Broward County, County of Allegheny, District of Columbia and Miami-Dade County. View all False Claims Acts by state. Are all state False Claims Acts the same? While most states model their False Claims Acts after the federal law, there are notable differences in some states that should be taken into consideration before proceeding. For example, Arkansas and Missouri will not allow a private individual to file a qui tam lawsuit. What is the Dodd-Frank/Wall Street Reform Act? Despite the False Claims Act being used as the primary weapon to combat fraud in the United States, the act only covers instances where the government has lost money to fraudulent activity. The Dodd-Frank/Wall Street Reform Act focuses on filling the gaps that the FCA left behind, such as misconduct involving market manipulation, insider trading and Ponzi schemes. By the creation of the Dodd-Frank provisions, whistleblowers no longer have to file a formal complaint in court, but may choose to remain anonymous. Also, more than one whistleblower may be rewarded by providing further information to the original claim. Dodd-Frank whistleblowers are also provided the same anti-retaliation protections that a FCA whistleblower would be given. How to report a possible fraud? Have you witnessed fraud against the federal government, or are you being retaliated against for reporting wrongdoing? We would like to speak with you.